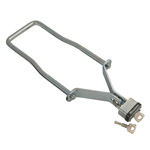 Perfect for mounting your spare tire vertically to the side of trailer tongue or frame rails. This sturdy spare tire carrier mounts to the trailer tongue in the front of the trailer. The offset design moves the tire and wheel up and away from the trailer frame to improve ground clearance. 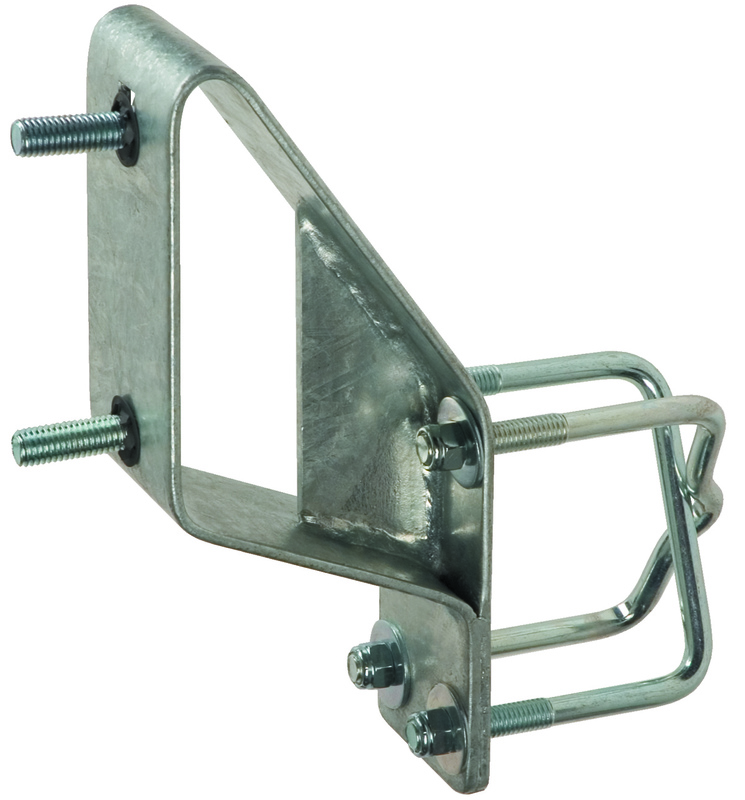 No drilling is required to install the carrier because the included U-bolts clamp the carrier to the trailer frame. 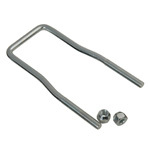 The crisscross design increases the holding power of the U-bolts. 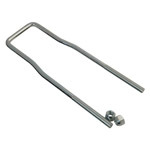 Mouting u-bolts may be crossed to fit shorter frames or may be installed parallel for more reach. 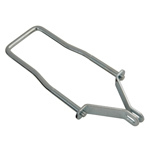 Holds either 4 or 5 lug wheels that are up to 15"